As the premier central New Jersey moving company, Simonik Transportation & Warehousing has been serving the Central New Jersey and surrounding area since 1977. With an A+ rating from the BBB and a reputation of exceptional customer service, our central New Jersey movers can help you plan a seamless, stress-free relocation – wherever in the world you need to go! NJ Local Movers: For central New Jersey moving and storage, there is no better choice than the experts at Simonik Transportation! NJ Intrastate Movers: Our highly trained movers are equipped to handle any size intrastate relocation within New Jersey and Pennsylvania. Interstate Movers in NJ: Planning a move to a new state is a simple with the satellite tracking and state of the art equipment at our central NJ moving and storage company. Long Distance Movers in NJ: Take the stress out of your long distance move with the most trusted name for central New Jersey moving companies! The highly-trained moving team at Simonik Transportation & Warehousing has nearly four decades of experience in providing professional, quality moving solutions. 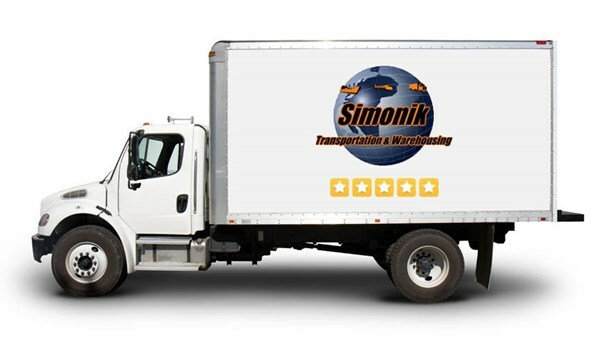 With a large fleet of trucks and specialized resources, Simonik is capable of handling the details of any moving project. Simonik takes professionalism seriously, and we are a long-term ProMover certified member of the NJWMA. Over the years, our experienced central NJ movers have won numerous awards and accolades, including the NJWMA Circle of Excellence Award. Our central New Jersey moving company also supports the local community, and we are affiliated with Camden County and Southern New Jersey Chambers of Commerce. Our valued employees have also given back through programs such as Move for Hunger and Homes for the Troops. New Jersey Office Movers: Our experienced team of central New Jersey movers can efficiently execute any size commercial move – minimizing your company’s downtime! New Jersey Business Movers: From start to finish, we guarantee that your business relocation will be a seamless process with Simonik Transportation! New Jersey Government Movers: As a GSA Schedule 48 Approved agent, our central New Jersey moving company has experience with all aspects of government and military relocations. When it comes to professional, efficient moving solutions at an affordable price, look no further than Simonik Transportation & Warehousing! To find out more, just give us a call! You can also fill out our online form to request your free, no-obligation estimate today.